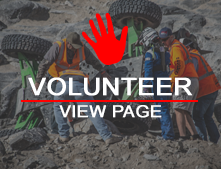 Chad Hundt is fairly new to Ultra4 & Off-Road Racing in general. He has always enjoyed racing in many different sports including drag, circle track & anything involving competition. Chad has found his passion in Ultra 4 with the support of his wife, Nikki. Be sure to keep an eye on Chad as he is determined to be a champion, improving with every race and keeps on climbing to that goal!